Your TPU bill contains much more than just the current amount due. It also includes details about your energy use, meter readings and other useful information designed to help you conserve energy and save money. 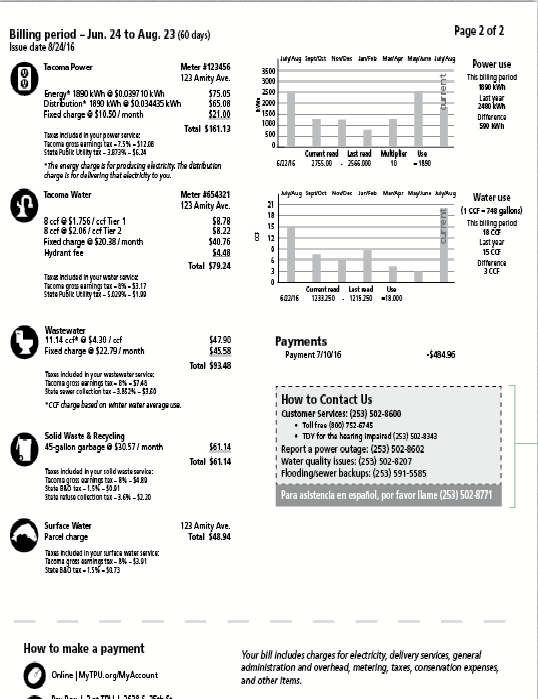 Below is an overview of your bill. Residential customers: every other month. Residential customers using a Budget Billing plan: every month. If you live within the City of Tacoma, your bill also includes fees for Environmental Services. These include solid waste, recycling, wastewater and surface water. TPU does not manage these services but we do consolidate the separate charges into one utility bill for your convenience. 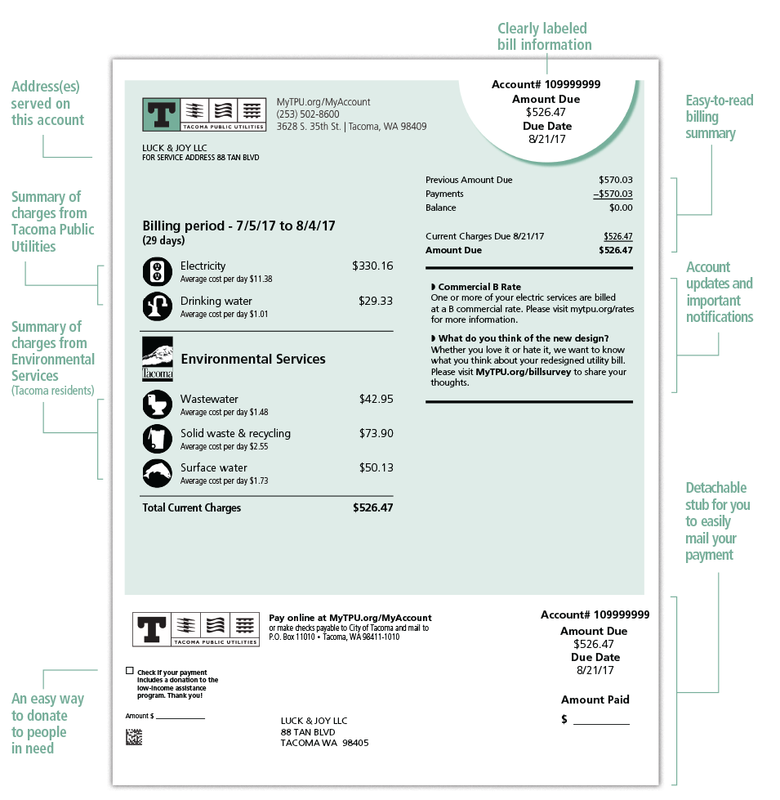 View a sample of the front side of a residential bill. 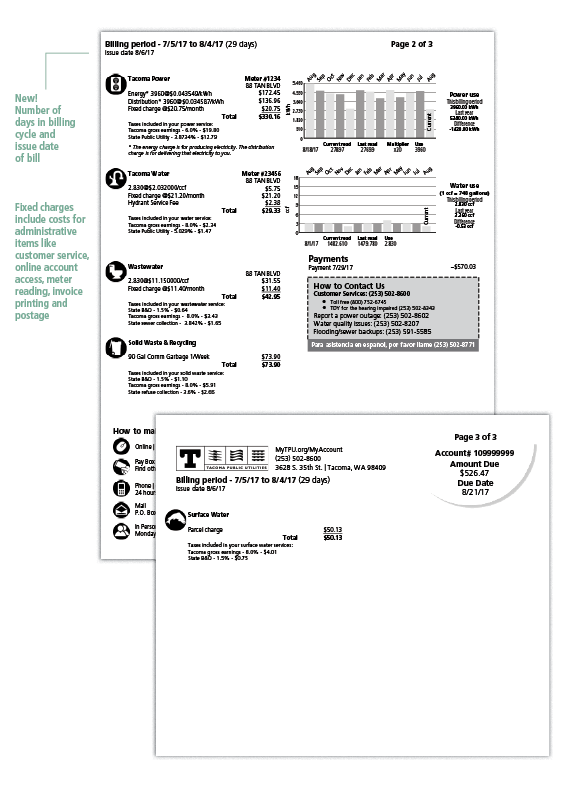 View a sample of the back side of a residential bill. 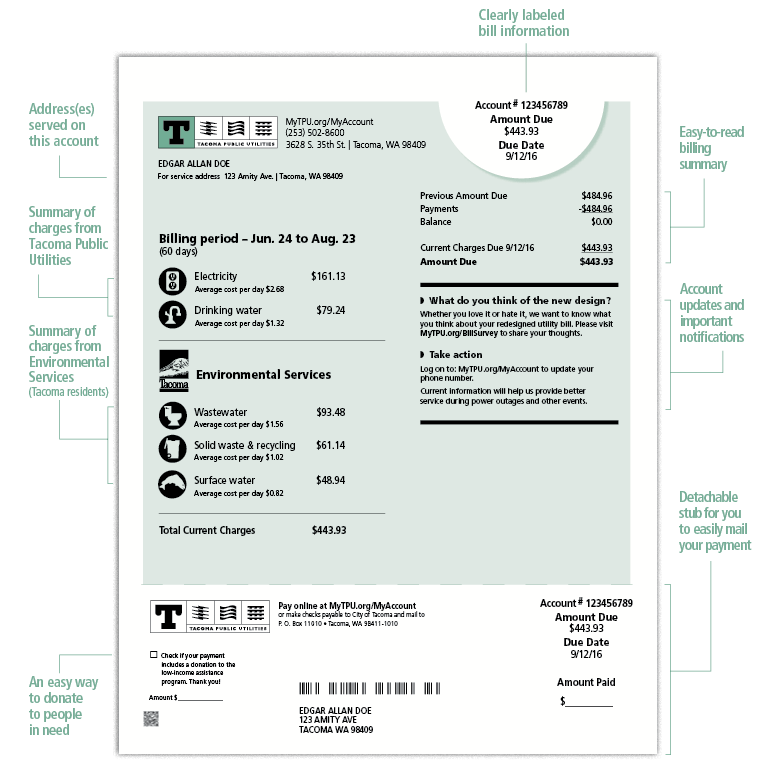 View a sample of the front side of a commercial bill. View a sample of the back side of a commercial bill. If you have any questions about your bill, please contact Customer Services at (253) 502-8600 or (800) 752-6745.